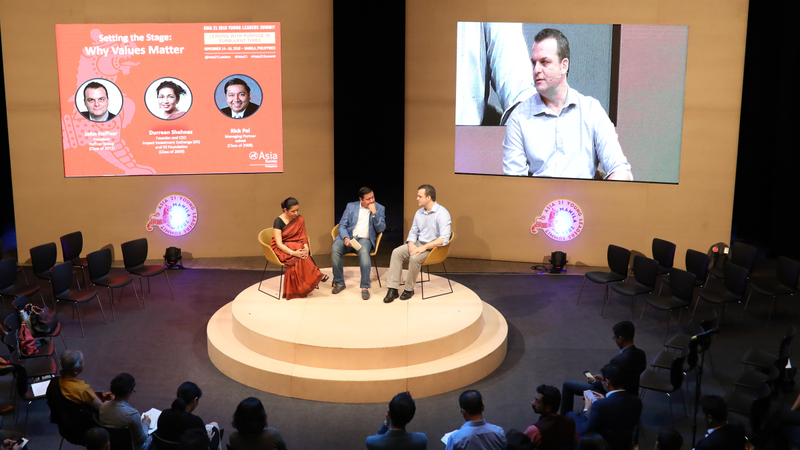 MANILA, November 15, 2018 — Durreen Shahnaz, founder and CEO of the Impact Investment Exchange and a member of the Asia 21 Young Leaders class of 2009, discusses the importance of values with John Haffner, president of the Haffner Group and an Asia 21 Young Leader from the 2011 class. The conversation was moderated by Rick Pal, founder of Ek Disha (now merged with AIF), and an Asia 21 alum from 2008. (52 min., 21 sec. ).